VERVO When debris, such as scale, rust and other foreign matter mixes with the water, oil, gas, air, steam or other media and is allowed to flow through a pipeline, it can become the cause of damage to the line's valve seats, resulting in shortened valve life, not to mention equipment malfunction and damage. Strainers separate and remove the solids suspended in fluids, protecting equipment from their harmful effects. Each strainer incorporates a screen to filter suspended solids and is designed so that collected solids can be disposed of and the filter cleaned without having to be removed from the line. 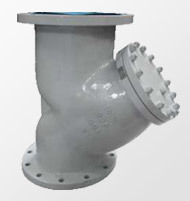 Strainers can be classified into two main types according to their shape: Y-type and U-type. 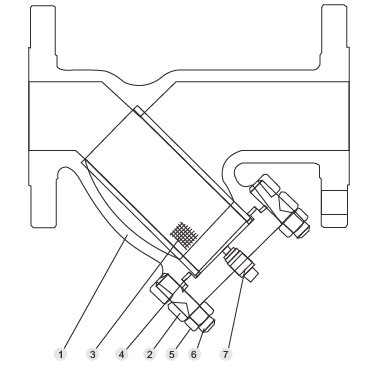 VERVO offers both a Y-type strainer that provides relatively low resistance to fluids and a compact shape,requiring less installation space, and the U-type that can be added plumbed into plant equipment.